What did I see the night of the President’s State of the Union Address? I saw people gathered, some believing that had come to tolerate the words of a fool. I saw a fool speaking against socialism. I saw people stand and applaud while those women in white remained seated and silent. I saw a fool renewing his promise to “build a wall” in order to stem the tide of human trafficking and sexual slavery. When the chamber burst into applause, those women in white called attention to themselves by their silence and stone-cold betrayal of defenseless women and children. But another fool—his name Nehemiah—told the citizens of Jerusalem to build a wall. Of course, the neighbors surrounding the crumbled Jerusalem laughed at the ridiculous notion. Wouldn’t it, after all, be the mark of progressive people to see all ideologies as equal, all blessings evenly distributed, and a utopian dream come true? But Nehemiah understood human imperfection and the potential for corruption. So, for the sake of homeland security, he instructed that the wall be built, the gates repaired, and the citizens armed with weapons and the Word. I saw a fool who was unafraid to speak truth. Admittedly, I have never spoken to this fool whose buffoonish ways irritate restless souls. But his words to American citizens remind me of who I am called to be. “… We have become a spectacle to the world, to angels, and to men. We are fools for Christ’s sake, but you [disciples] are wise in Christ … When reviled, we bless; when persecuted, we endure; when slandered, we entreat” (1 Corinthians 4:9-13). To be sure, men can be foolish, too. Still, I am intrigued by the fact that the book of Proverbs calls attention to foolish woman. As a woman, it seems appropriate for me to pick up on this — and ponder. Light contrasts dark. Hope contrasts despair. God’s Word contrasts deception. In Proverbs, God teaches the way of wisdom by contrasting it to foolishness. So, I’m pondering the following verses. And, I’m thinking of the hopeful difference women could make if they responded with wisdom in contrast to foolishness. An excellent wife is the crown of her husband, but she who brings shame is like rottenness in his bones”(12:4). The wisest of women builds her house, but folly with her own hands tears it down” (14:1).
. . . [A] wife’s quarreling is a continual dripping of rain. 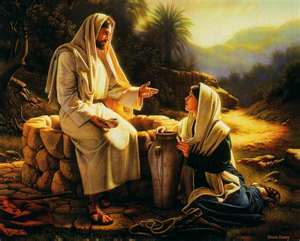 House and wealth are inherited from fathers, but a prudent wife is from the Lord” (19:13b-14). It is better to live in a corner of the housetop than in a house shared with a quarrelsome wife” (21:9; 25:24; 21:19). As long as women are deceived by the world, we will remain foolish. Fretful. Impatient. We will fall to the idolatry of self. Expect others to make us happy. Blame them when they don’t. Our houses will become cold. Unwelcoming. Without mercy. But, there is hope. There is always hope! The remedy for foolishness is to be in God’s Word (Proverbs 2:1). (All of His Word, not just the passages we like.) Jesus Christ is the Word that brings people from darkness to light. Sets captives free. A foolish world is overcome by Jesus Christ. One day, it will pass away and be no more. For now, He commands the dawn to know its place and takes hold of the skirts of the earth (Job 38:12-13). Evil, disguised as good, is being shaken and exposed. If we want to be wise — even in the midst of those who think themselves sophisticated and progressive — we must know Christ. Not just quote Him, but study Him. Then seek to follow Him. Turn away from silly myths. Tell Satan to jump a cliff. Be repentant for wrong choices of the past and begin to trust the Creator of our lives. See the things of this world as Jesus sees them: False. Puffed up. Loud. Arrogant. Harmful. Hopeless. And, so, the wisest of women builds her house. Her sphere of influence. She trusts that God will meet her needs in unexpected ways. Putting herself in His care, she is free. To leave old ways behind. Serve husband and children. Encourage. Build up. May I — and all the women in my life — be like the adulterous woman who sat at the feet of Jesus. Sins exposed and forgiven. Eyes open. The foolishness of the temporary exchanged for the wisdom of the eternal. No longer foolish, may we be a refuge. Our light burning brightly. Our homes a welcoming place.